Thuwal, Kingdom of Saudi Arabia – [September, 1, 2017]: In a paper published in the September 2017 issue of the journal Nature Climate Change, a consortium of marine biology researchers outline the mechanisms that might underlie adaptation to climate change in reef corals. Predicting the ability of coral reefs to survive changes in climate requires understanding coral animals–the foundation species of these ecosystems–and how parental provisioning, genetic and epigenetic mechanisms, and changes in the microbiome contribute to their adaptive response. The marine biology researchers, from 11 institutions in five different countries, gathered at a recent workshop to assess the fate of coral reefs in the face of climate change. Participants at the conference included Gergely Torda and Philip Munday from the ARC Centre of Excellence for Coral Reef Studies, and Manuel Aranda, Michael Berumen, Timothy Ravasi and Christian Voolstra from King Abdullah University of Science and Technology (KAUST). "The clock is ticking. If we look at the Great Barrier Reef, more than 30% of the corals may already be dead. Understanding these mechanisms is becoming increasingly important if we want to help these ecosystems. If not now, then when?" asked Aranda. The health of the world's coral reefs is of particular concern because of their high social, ecological and economic value, as well as their sensitivity to environmental change. "Climate change is happening; oceans are warming and ocean chemistry is changing with detrimental effects on coral reefs," said Ravasi. "All animals and plants associate with microbes and form so-called metaorganisms. In particular, coral metaorganisms rely on their microbial partners for survival. These microbes hold the promise to contribute to host physiology and can quickly adjust under changing environmental conditions, thereby helping the coral to adapt," said Voolstra. The team focused on stony, reef-building corals, calling them "ecosystem engineers," because they form the framework of the reef, providing shelter, food and habitat for countless other living things. Loss of reef-building corals therefore leads to declines in the diversity and abundance of other reef organisms and ultimately the collapse of the entire ecosystem. 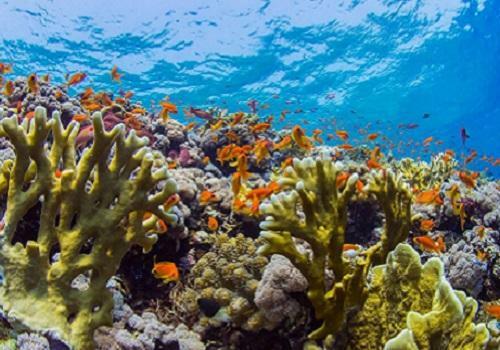 In their paper the team identified eight potential research directions that could help clarify how coral reefs might adapt or acclimatize to environmental change. The team advised researchers to explore different forms of plasticity in corals and other reef organisms using well-designed, strictly controlled experiments. They also stressed the importance of demonstrating how epigenetic mechanisms and marks–the ability of the parent's environment to alter the gene expression of the offspring–relate to phenotypes in corals. They also emphasized the importance of understanding the relative contribution of parental provisioning, genetic and epigenetic mechanisms and changes in the microbiome to adaptive responses in corals. The other directions placed importance on developing model organisms, understanding the flexibility of coral-microbial associations, improving models of mechanism interaction, and determining the pace of genetic adaptation. The concept of plastic responses and epigenetics are increasingly "hot" topics as the effects of climate change become more evident in ecosystems around the world. "In these rapidly developing fields, it is important to occasionally step back and brainstorm with colleagues to share ideas, to discuss what has worked and what hasn't, and to identify the most promising directions to answer challenging questions," Berumen said. "This paper is the outcome of a very productive workshop and hopefully it will be useful as more and more people focus research efforts in these directions." KAUST advances science and technology through distinctive and collaborative research integrated with graduate education. Located on the Red Sea coast in Saudi Arabia, KAUST conducts curiosity-driven and goal-oriented research to address global challenges related to food, water, energy and the environment. Established in 2009, KAUST is a catalyst for innovation, economic development and social prosperity in Saudi Arabia and the world. The university currently educates and trains over 900 master's and doctoral students, supported by an academic community of 150 faculty members, 400 postdocs and 300 research scientists. With 100 nationalities working and living at KAUST, the university brings together people and ideas from all over the world. Visit kaust.edu.sa for more information.